Fewer accidents but more deaths. In 2016, the deadliest year for automobile-train accidents since 2010, six people died in such accidents — most of them in a single railroad-crossing crash. When a 200-ton locomotive and a 2-ton automobile collide, the results are always bad. Despite a lower number of Colorado car-train accidents, 2016 was the deadliest year for them in the state since 2010. In 2016, 14 crashes in Colorado involved a train and a motor vehicle — down from 20 the previous year, and the fewest in ten years. But six people died in those accidents last year — up from two in 2015 and zero in 2014. In the last decade, the highest number of deaths from such crashes took place in 2008, when eight people died. Last year’s spike was mostly due to a single accident on June 26, when an Amtrak train plowed into a minivan at a rail crossing near Trinidad, Colorado, killing five family members on their way to church. A father, mother and three young daughters died; a fourth daughter, four, was seriously injured but survived. When the 2016 accident happened, the southern Colorado train crossing had been the site of at least six crashes since 1986 — including one in 2010 in which a 55-year-old man had been struck and killed by an Amtrak train. The busy crossing had been considered for safety improvements for years. Typically, about a dozen railroad-crossing improvement projects are in the works each year in the state. In 2013, Colorado transportation officials began examining the site and targeted it for a significant overhaul. 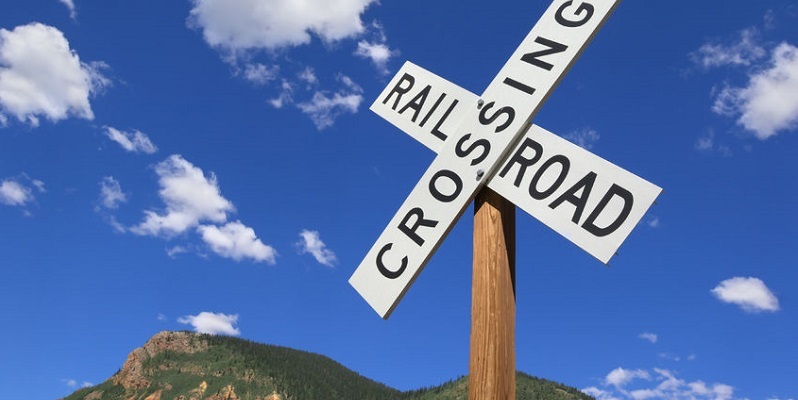 In fact, less than two weeks before last year’s crash, Las Animas County approved a $271,000 contract to install advanced signal systems at the crossing, which was being marked only with wooden signs. The projected safety improvements included flashing lights, gates, bells, and a constant warning system. Among other dangerous train crossings in the state is one at South Kalamath Street and West Bayaud Avenue in Denver, where there have been five accidents involving trains and vehicles since 2007. These include a fatal accident on June 18, 2013, when a freight train hit a car and killed its two occupants. Another example is the crossing at Otero County Road 20.5, near Rocky Ford, where two accidents together claimed the lives of five people in July and November of 2008. One lesson of these tragedies is that drivers must be aware of the paths of railroads that cross local streets, and be vigilant about the possibility that a train is approaching when tracks lie ahead. Signals and gates at a train crossing are not invariably prominent or adequate. If you or someone you care about has been injured in a train collision or other traffic accident in Colorado, contact the Law Offices of Daniel R. Rosen online or call 303-454-8000 or 800-ROSEN-911 to schedule your free initial consultation with an experienced personal injury attorney today.